It was 1891 when Harry Houdini first began his career in magic. Though his early efforts were largely ignored, in 1989 he began to focus his career on escape acts and a legend was born. The man would fill venues and shock and amaze audiences with his ability to effortlessly slip out of manacles and dangerous situations – his most famous stunt being the Chinese Water Torture Cell, an act where Houdini was restrained and then suspended upside down underwater and forced to escape or die. And that embrace of magic is still alive a century later. David Blane is performing the classic art of escapism and feats of endurance, and Criss Angel uses his goth energy to draw people to his illusions, but perhaps the most recognizable of modern magicians are the now-retired Siegfried & Roy, who spent more than a decade crafting a flashy, unique, unmistakable stage show that thrilled the crowds in Las Vegas. 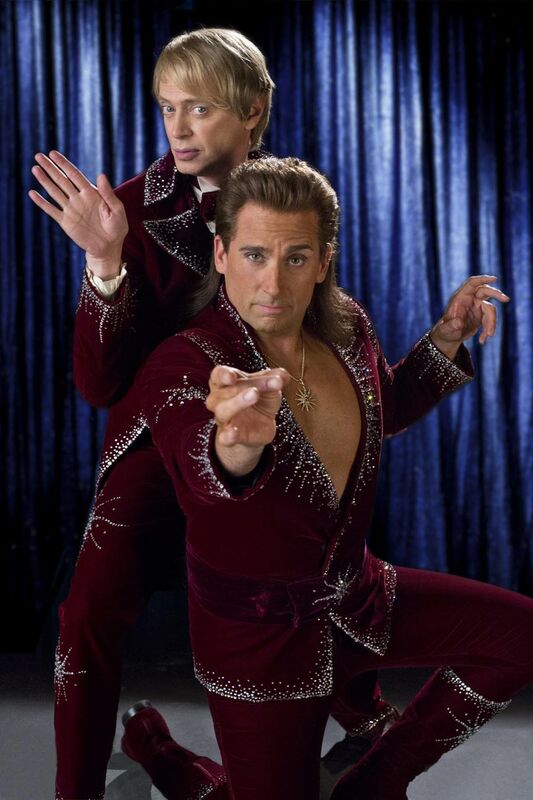 It is in this arena that we find The Incredible Burt Wonderstone. Earlier this year I was part of a small group of journalists who were invited down to the Wadsworth Theater in Los Angeles where the new magic-themed comedy, starring Steve Carell, Steve Buscemi, Olivia Wilde and Jim Carrey, was being filmed. During our time on set we had the chance to not only watch them shoot a couple of scenes, but also talk to director Don Scardino and producer Chris Bender about the movie, as well as Carell, Buscemi and Wilde about their parts. 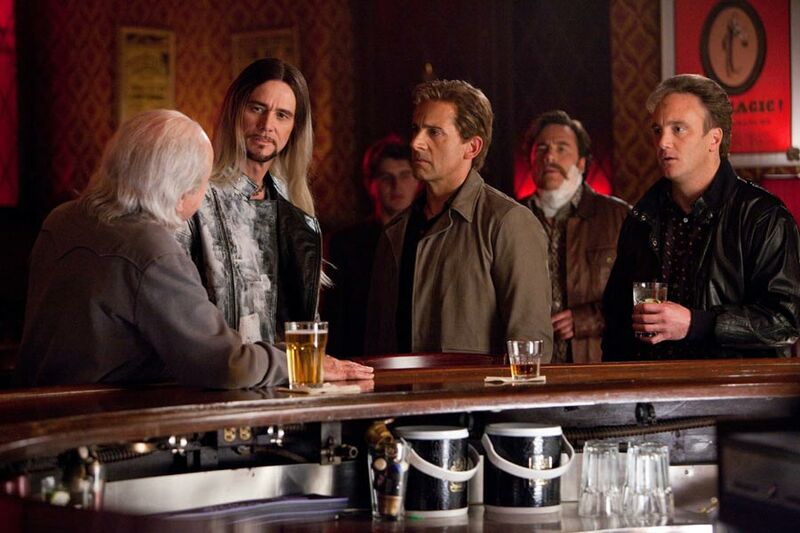 Based on a screenplay by John Francis Daley and Jonathan Goldstein (Horrible Bosses), the movie centers on a long-time magician named Burt Wonderstone (Carell) who remains an egotistical, selfish, jaded diva despite his waning fame. Unable to take any more abuse, Anton Marvelton (Buscemi), Wonderstone’s partner from the beginning, leaves the act, which leads to a downward spiral for the protagonist that’s made worse by a hip new street magician named Steve Gray (Carrey) who threatens to push him into obscurity. Not willing to go down without a fight, Wonderstone, along with his assistant (Wilde), begins to reinvent his act and, in doing so, himself. When we get closer to the film’s release date on March 15, 2013 I’ll have a full report for all you wonderful readers, but for now enjoy the two high-res stills from the movie that were released this week and for more about The Incredible Burt Wonderstone be sure to hit up our Blend Film Database.